An anime I wish never ended and continued on would be K-On. Well, cuz of the stories, characters, and music. I want to know what happened to the characters during their college lives. After witnessing their almost everyday lives in highschool, I am so damn curious on how they lived out their college life. I just had graduated, and I pretty much experience quite a lot during my university days. I wanted to know what courses did they take, how they manage their time for school and band, how they hangout, EVERYTHING college related. It would be really fun to watch and very relatable to know those stuff. I also wanted to know what kind of music the new light music club were producing. With Azusa being the only remaining member of the light music club, I want to see more of her trying to recruit members. I do know that her friends, Ui & Jun, joined the club. I wanted to know what instruments are there going to play. I also wanted to see their development. That would be awesome to watch. Another thing I wanted was more music from K-On. I wanted to hear more from them. Their music were really really good. They are very catchy and the melody is easy to listen to. It would have been nice if those stuff would actually happen. 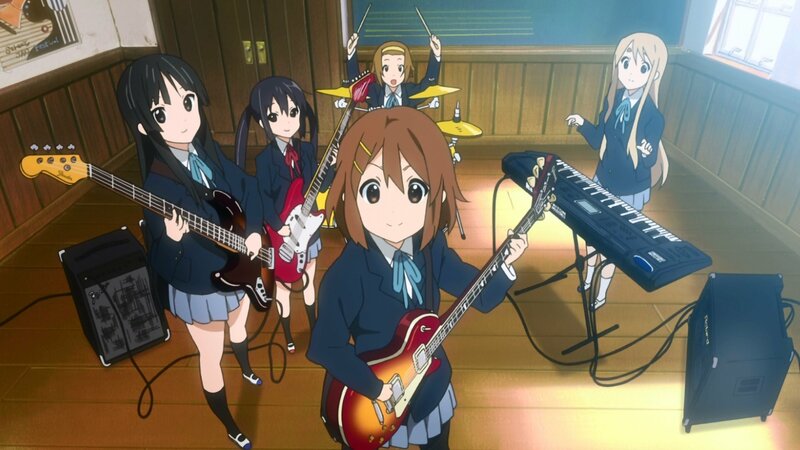 But I am also contented with all of the episodes of K-On. Wow! I actually did it!! I finished the 30 Day Anime challenge. This is amazing. I actually didn’t expect this. I actually thought I might stop doing this challenge in the middle of it, I’m so glad I stick to it until the very end. Through this challenge, you guys knew stuff (well even me) about me and my love & knowledge with anime. I do hope I could do more of this types of challenges in the future. An anime I wished was real. I never thought of this before. Or was I? For a second to the last challenge question, this sure is kinda hard to answer. 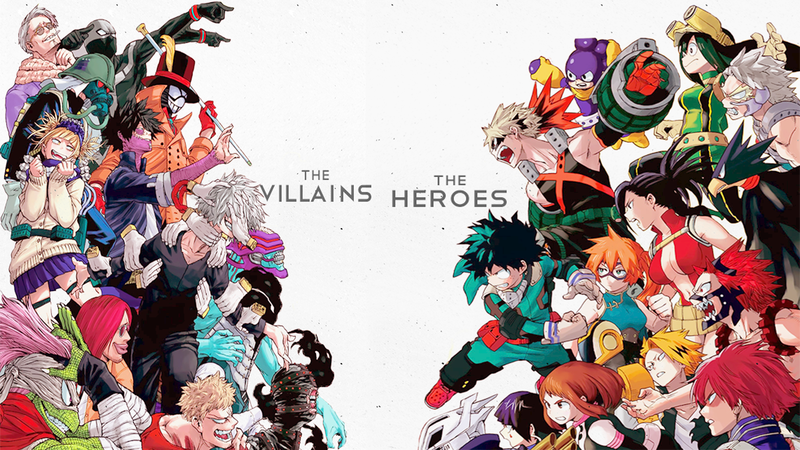 If I were to choose an anime that I wish was real, that would be Boku no Hero Academia. Since young, I always wanted to have some superpowers. In the world in Boku no Hero Academia, that dream could be a reality. If I were to choose a quirk, I do hope its related to earth or electricity. I just want those quirks, especially the electricity. With the dominance of technology in our lives, its impossible to live without electricity at all. So, having this type of power in this day and age, that means I have a wide and deep source of power. Thinking about it makes me go to my daydreamland. Even though the League of Villains definitely will cause some trouble in the city where I live in, but I know for sure I can be the hero that people can rely on. When I first read that quote in the light novels, I was planning on avoiding a certain situation at that time. Reading the quote felt like I was slapped…hard. Damn. Such a good timing. Aaaaaahhhhhh, thanks for reminding me Hachiman. Of course I can’t escape my past. Sigh. Hit right on the feels. If we are talking about badass scenes, of course the answer to that is the action scenes of the most badass female anime character, Revy. Its like all her action/fight scenes are all badass. Its on a different level. If you want to understand what I mean, please do watch Black Lagoon. And oh, watch the series in dub. Its much more badass. XD hahahaha. What’s my best anime fight? 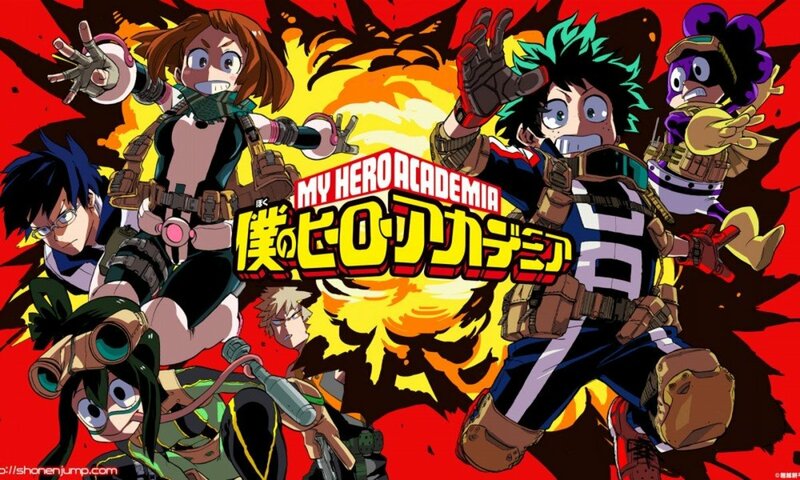 If we are talking about recent times, my best anime fight I had seen would be from Boku no Hero Academia S2. There were so many good fights scenes in the series. The tournament arc was really impressive, but I love the face off of Stain vs. Deku, Todoroki, & Iida. Dunno why, I just love it. I love how the 3 students strategically tried to defeat Stain. The animation of the scene was beautifully made by Studio Bones. I really really like it. The saddest anime death, huh? That’s a good challenge question. 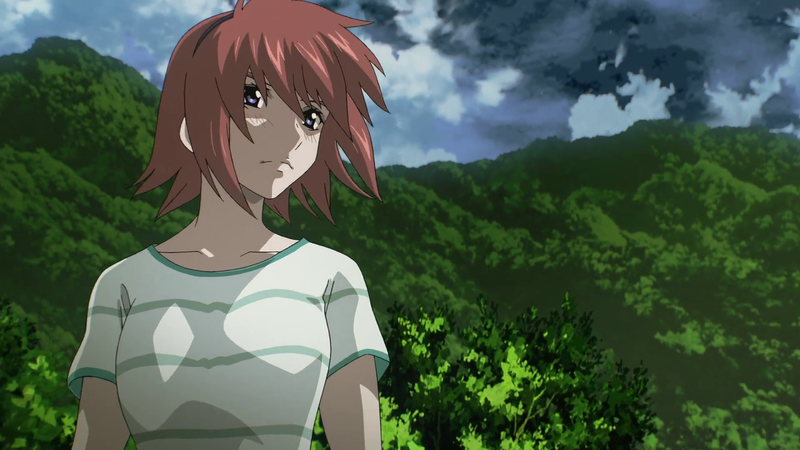 In my recent memory, I think the saddest anime death I had seen would be the killing of characters in Soukyou no Fafner: Dead Aggressor. It was really shocking and tragic, I didn’t expect they would kill off that many characters in their series. It was both traumatizing to me and to the characters. Though I did felt sorry to the other characters that died throughout the series, the death that shot me the most was Kanon’s death. Bruh, I even cried. Oh crap, even remembering how she died makes me want to cry again. I really didn’t expect they would kill her off in the middle of the Soukyuu no Fafner: Dead Aggressor – Exodus series, like WTF. F*ck man. I couldn’t the process what just happen, I even paused the show just to make sure I was thinking right and the stuff I’m seeing is really really happening. It was so heartbreaking. 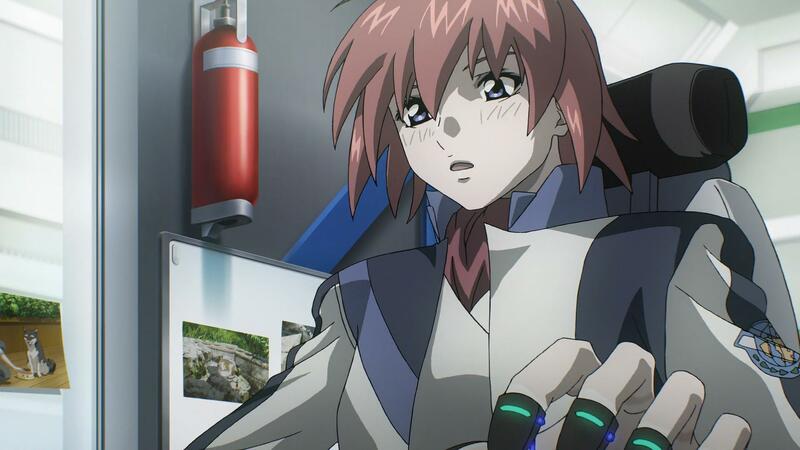 If ever I watch Fafner S2 again, damn, I am going to cry again. Sigh. I might have sound quite emotional or over-the-top, but her ‘death’ was really tragic. Even though she knows the consequence of her actions, she still did what she did without regret and sacrifice herself for the sake of making sure that the other characters would have a better future. For a person who lived her life in a war, she ‘died’ peacefully and quietly (bruh, you will definitely understand WTF I’m saying if you try to watch the series). Oh great, another memory-based challenge question. I hope I can answer this one well. A moment that shocked myself the most in any anime? A moment that made me go WTF? Hhhmmm, that moment would be the twist near the end in Qualidea Code. Well, its because the WTF moment in Qualidea Code is quite fresh in my memory. I did a review of Qualidea Code last summer, that’s kinda why its still memorable to me. It made me go WTF, cuz it was totally unexpected. I do admit that there were few hints and signs given to us, viewers while watching the series, but it was all answered when the WTF scene happened. It all made sense. I still think that Qualidea Code had a lot of potential and if handled better, it would have been an above average anime.